The massively popular Monkey GO Happy game is back again for another Marathon! 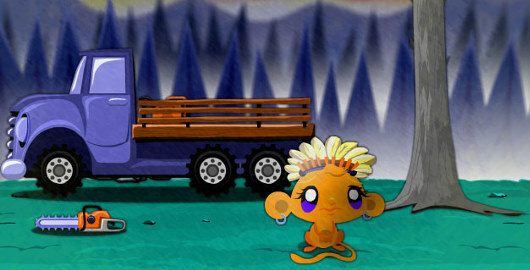 Monkey GO Happy Marathon 3 is the latest installment in the Monkey GO Happy series created by Robin Vencel, the author of the Popular Bowja the Ninja series. Always fun, but that one was super easy compared to past episodes. Posted on Friday, July 6th, 2012. Follow any responses through the RSS 2.0 feed.